Our existence in the 21st Century has taken on a disposable quality that probably won’t be much admired by future historians. Look at us. Every time Apple trots out a new iWhatever, 50 million “old” iWhatevers get tossed out the window. Our jobs, our mortgages, our marriages, NBA contracts – it all gets torn up in the end, and we begin anew. Some people don’t even buy cars anymore. They lease them. Our grandfathers used Zippo lighters to ignite their Chesterfield Kings and Lucky Strikes, and there are even instances of soldiers having been saved when their trusty old Zippo deflected a bullet or a chunk of shrapnel. We spend 99 cents on a Bic at the gas station and throw it in the garbage when it runs out of butane. Our grandmothers would wash and re-use the same batch of cloth diapers, baby after baby after (shudder) baby. The diapers used by today’s tatted-and-pierced young moms literally come with the word “disposable” on the label, and they are purchased at the grocery store, just down the aisle from the MooGurt and the organic, fat-free milk. Compare our contemporary digital fascinations with the long-lasting inventions of yesteryear. What are we making today that mirrors the success and longevity of, say, the bicycle? Or the water valve? Or the guitar? Among instruments of top-tier manufacture, even the guitars that get used as much as a bicycle or a water valve will hold up against the test of time, retaining their capability and value – or even increasing in the latter. Many guitars that are properly maintained and stored and maintained (in other words, cared for) have outlived the luthiers who made them. As far as the lower-hanging branches of the guitar tree are concerned, the new math of disposability is spilled all over the ledger. 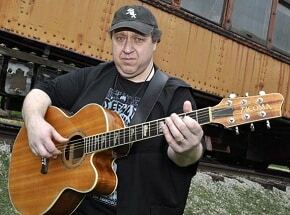 Guitars made of suspect materials, slapped together in faraway lands by workers who could care less about their craft (since they’re only making about a dollar an hour at best), can be had with the click of a mouse. 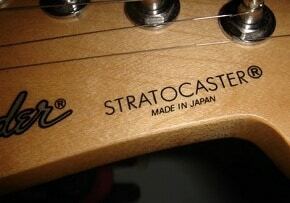 Cheap import guitars are the Bics to the Zippos being put out by high-end companies. However, the digital/disposable revolution has been taking place alongside another social movement, our desire to “Go Green”. 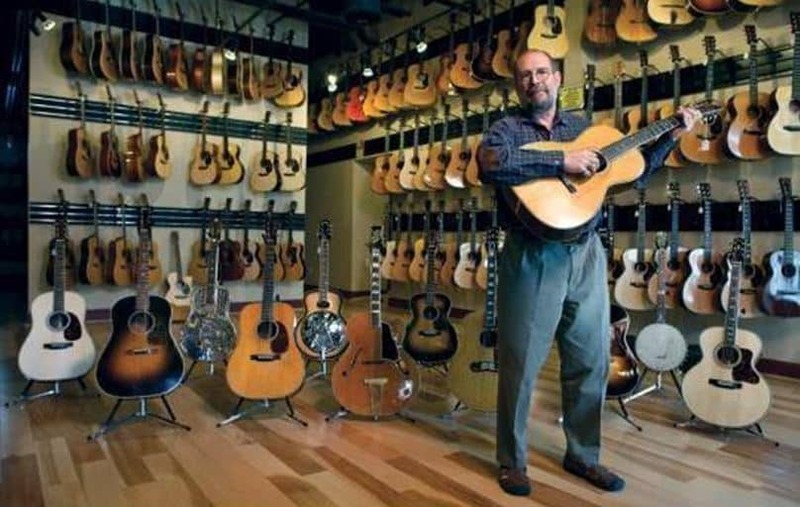 The mindset of recycling – not quite the same as building quality durable goods in the first place, but close – has trickled down to the guitar community. One can find examples and instructions on how to create a guitar from purely recycled materials on tech websites as much as on guitar-axe blogs. But is anything really new under the sun? 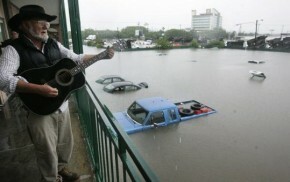 Haven’t “recycled” guitars already been with us for a long, long time? They have if you consider one of the most common (and increasingly popular) items in American musical lore, an instrument for the populist if one there ever was… The cigar box guitar. 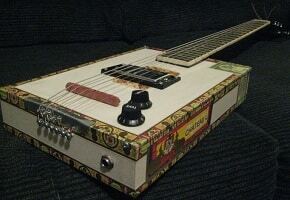 A cigar box guitar not only utilizes pre-used materials (keeping wood out of the landfills and on the trees), it’s also a lot of fun to make. Nobody who has ever owned one would ever try to pass it off as an entirely serious musical instrument, even when assisted by pickup(s), but they are without a doubt a conversation piece and will satisfy any player’s innate desire to pluck and strum something at any given moment. There’s also a measure of satisfaction that comes with building your own guitar. It’s different than buying one of those unfinished BYO electric guitars. Those are also rewarding (and, better yet, viable), but they come with all of the pieces and instructions, in some cases without any soldering required. Cigar box guitar, and their home-made cousins of all varieties, are raw and unrefined, workmanship that comes from the heart as much as from the hands of the builder. The point where the technology meets the bucolic, naturally, is in cyberspace. To wit: Typing the words cigar box guitar into one of the more popular search engines will yield over 1.5 million results. Entering the same into the search field on YouTube will pull up over 600 videos of people building or playing cigar box guitar, many of them with detailed explanations of what works and why. Obviously, the first thing you’ll need is a cigar box. Many cigar boxes are made from cedar and other hardwoods, as they are designed to insulate against temperature and humidity. 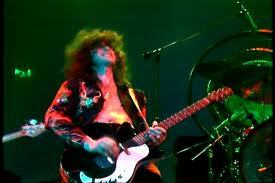 They’re also typically thicker than what would be optimum for a guitar, but there’s not much that can done about that. 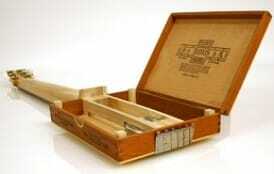 Cigar boxes can be obtained, empty or full, without too much difficulty or even expense. To the extent that your homespun instrument will produce good sound at all, size matters, with the inside of the box serving as the sound chamber. Some may try to cut out a sound hole (it’s a prohibitive exercise unless woodworking is already an attained skill). Large grommets or cones, like the ones found on steel guitars like the National Resonator, will add both projection and a nice aesthetic touch. 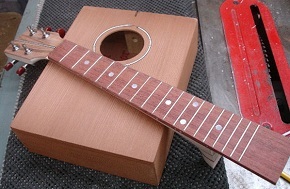 Whether one simply harvests the mechanical organs from an old guitar (there’s that recycling again), such as the tuners, the nut and the bridge, or opts for pots, knobs and pickups as well, the cigar box guitar will require some skill and precision to build. It’s never easy to set up any member of the lute family with regard to string height, action, et cetera. Patience is key. The neck is something else entirely. Some workshop maestros will use an existing neck from another guitar. Others, the ones who paid attention in wood shop class, will go whole-hog with lathes, planers, chisels, routers, saws and sandpaper… Lots of sandpaper. However you go about it, the neck can be bolted on or dovetail-jointed. The level of skill clearly will have a lot to do with those decisions. Using the available online lessons and videos, choosing materials carefully, and bringing a good deal of patience and care to the work bench will yield an instrument that is interesting to look at and fun to play – maybe not the first time, necessarily, but with the pride that comes with workmanship also comes the desire to repeat and improve the process. If you get good enough at it, you might even be able to pull some profits out of your time and use of recycled materials. More than one rough-hewn luthier has been known to put together cigar box guitars well enough, and often enough, to pull down some extra income. The best kind of income ever. You know. Disposable income.